In this landmark book, Diane Ravitch - former assistant secretary of education and a leader in the drive to create a national curriculum - examines her career in education reform and repudiates positions that she once staunchly advocated. Drawing on over forty years of research and experience, Ravitch critiques today's most popular ideas for restructuring schools, including privatization, the Common Core, standardized testing, the replacement of teachers by technology, charter schools, and vouchers. She shows conclusively why the business model is not an appropriate way to improve schools. Using examples from major cities like New York, Philadelphia, Chicago, Denver, and San Diego, Ravitch makes the case that public education today is in peril and includes clear prescriptions for improving America's schools. The Death and Life of the Great American School System is more than just an analysis of the state of play of the American education system. 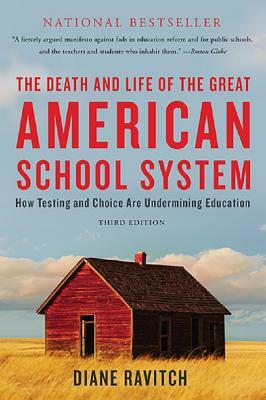 It is a must-read for any stakeholder in the future of American schooling. Diane Ravitch is Research Professor of Education at New York University and a historian of education. She is the former Assistant Secretary of Education and a former member of the National Assessment Governing Board, which oversees the National Assessment of Educational Progress, the federal testing program. The author of ten books, including Reign of Error: The Hoax of the Privatization Movement and the Danger to America's Public Schools. Ravitch lives in Brooklyn, New York. "Diane Ravitch is arguably our leading historian of primary and secondary education." "Diane Ravitch is one of the most important public intellectuals of our time. In this powerful and deftly written book, she takes on the big issues of American education today, fearlessly articulating both the central importance of strong public education and the central elements for strengthening our schools. Anyone who cares about public education should read this book." "By facing off against most of the centers of power in her field, Ravitch has turned herself into a singular check on the ascendant education orthodoxy."